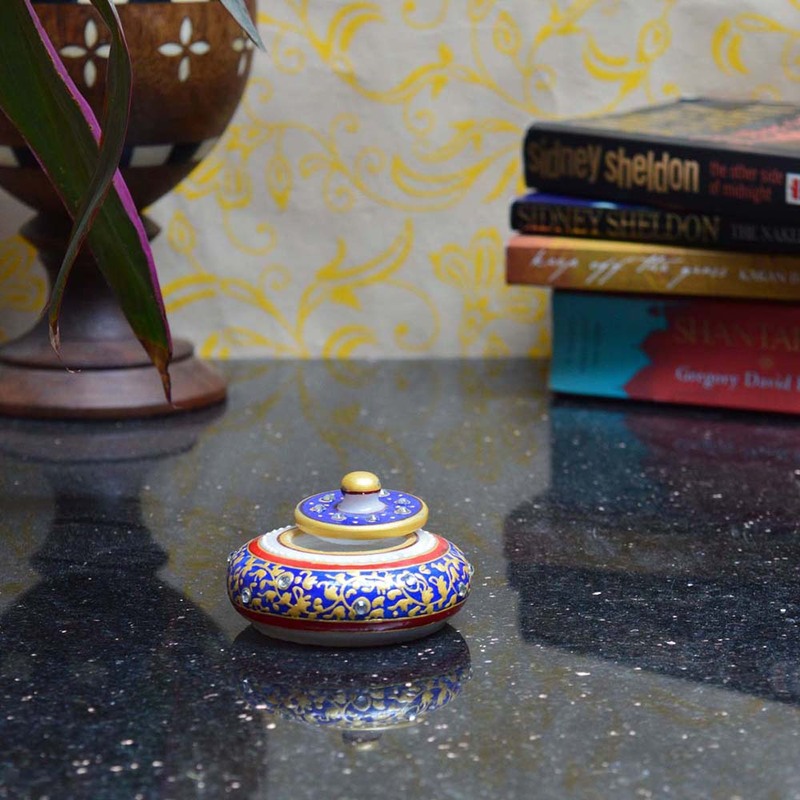 Adorn yourself with sindoor which is bought straight out of the Marble Blue Sindoor Holder , made with high quality marble and adorned with blue Read More..and gold paint. 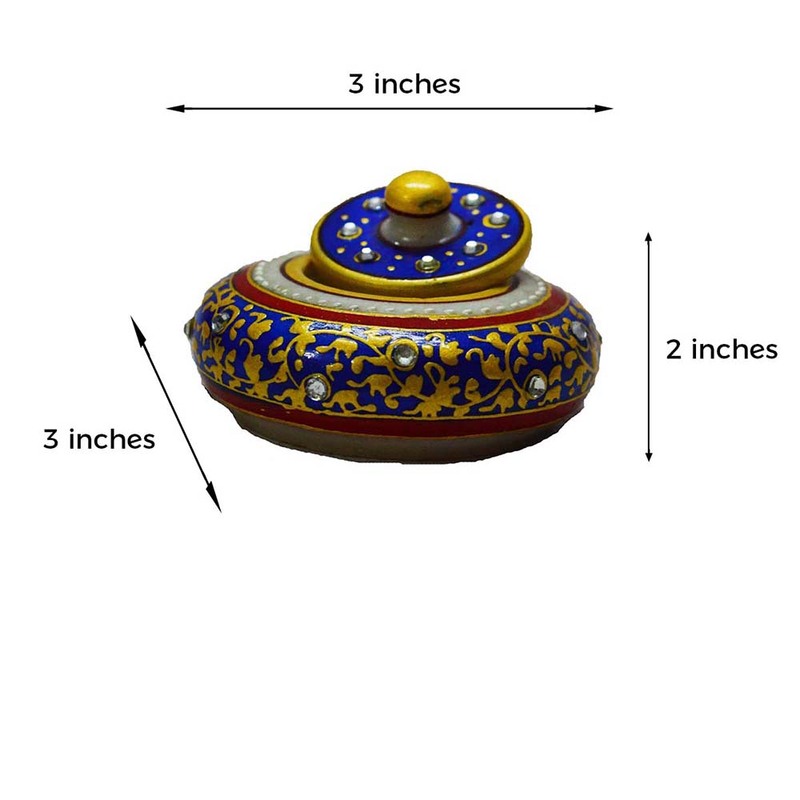 This sindoor holder is aesthetically designed with white faux crystals and the white marble assembled with excellent craftsmanship by the skilled artisans and craftmen are definitely worth a try. This is a great gift for your best friend as for your wife or sister. 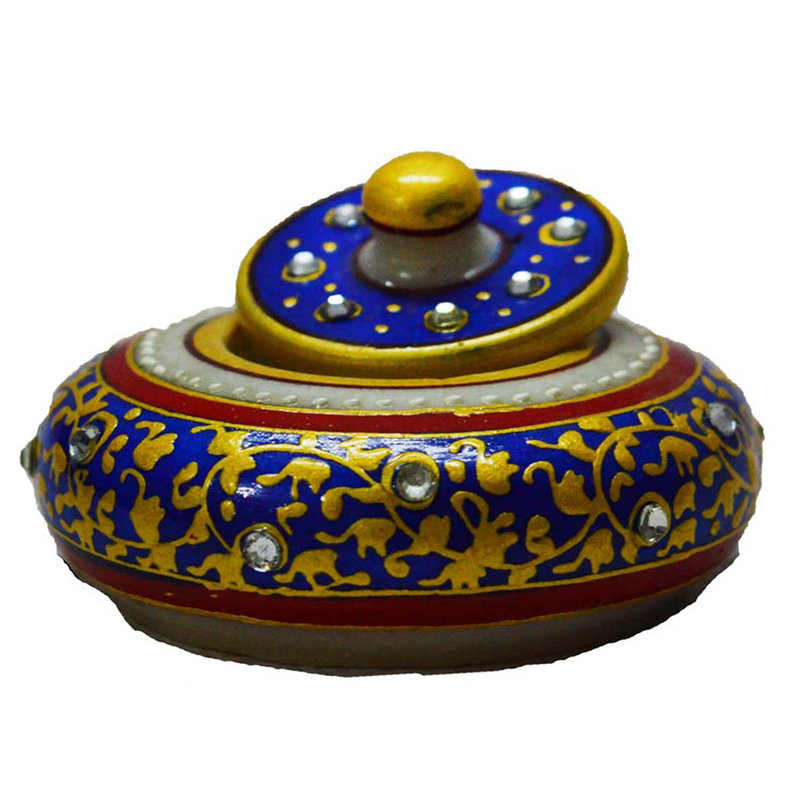 This is an sindoor holder which is traditional and ethnic with a taste of Indian culture. Show Less..